Who Is Marie Kondo, and Can Her Decluttering Method Really Spark Joy in Your Life? Marie Kondo burst onto the self-help scene with a simple idea: Tidy your life, and get rid of everything that doesn't spark joy. With three books under her belt, YouTube videos, and a new show on Netflix, Marie is tidying up the world, one closet at a time. The KonMari method is pretty simple: you tackle your belongings one category at a time and get rid of what doesn't spark joy. That is, anything that you pick up that doesn't make you instantly happy either gets donated or thrown out. Before you toss something though, you thank it and gently place it in a box or bag. This is to give you closure, so you don't regret giving something away later. Clothes, books, papers, miscellaneous items ... everything has a place in the grand plan of decluttering your home. The key to using this method is to set aside time to do this. Know that it's going to take days, not hours, and commit yourself to the process. It may sound silly, but in a way, it makes sense. I tend to hang onto things for much too long because I think they still have some use. By donating items, you pass along that utility to someone else and can feel good about letting them go. At the age of 19, Marie started a business as a decluttering consultant in Tokyo. Over the years, she has established herself as an organizational expert all over the world. She has authored three books on the subject and has taken the U.S. by storm with her new Netflix show. Consider her the cheerful little drill sergeant you never knew you needed! Clothes are the first category to tackle. Round up EVERYTHING you have and dump it all on your bed. Go through everything piece by piece and end up with a keep, donate, and trash/recycling pile. Trash is easy -- that's anything that has holes or will never fit again. Make rags out of what you can, and be okay with getting rid of the rest. For what you're keeping, use Marie's folding method for more efficient storage of your items. You won't believe what a difference it makes! One of the best things about Marie's methods is that she shares them for free. In addition to watching her transform people's homes on Netflix, you can watch her YouTube videos and get a head start on tidying your own space. On a personal note, I was amazed at how much I ended up donating. Some of it has been in my closet for years, and I truly don't miss it. I do, however, love having a rack full of clothes that I know I like wearing! If you want to get an idea of how much influence Marie has had on her U.S. audience, simply head over to Twitter and look up #MarieKondoChallenge or just #MarieKondo. Happy tidying! **All photos in this article are courtesy of KonMari.com. 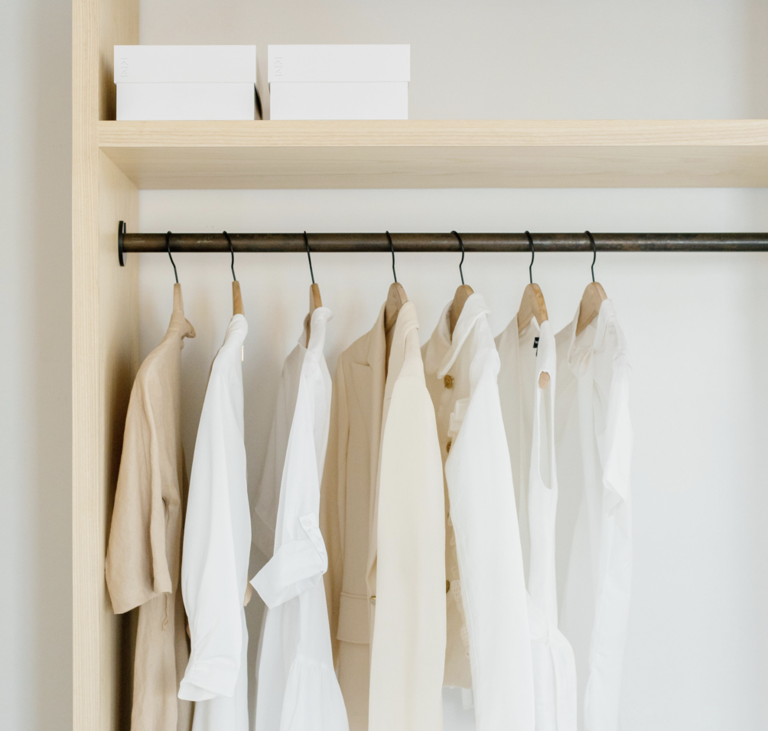 Have you tried implementing the KonMari method in your own life? How is it working for you? Let us know in the comments below! Looking for a way to tidy up your fitness routine? Here are some of our favorite exercise YouTubers!